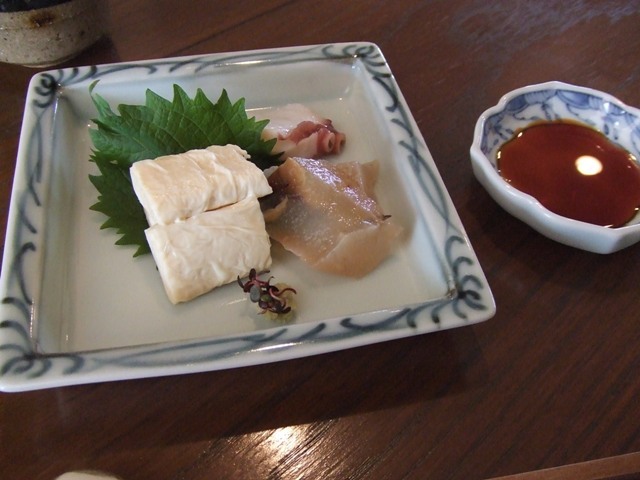 I had Sukiyaki at a distinguished Sukiyaki restaurant! 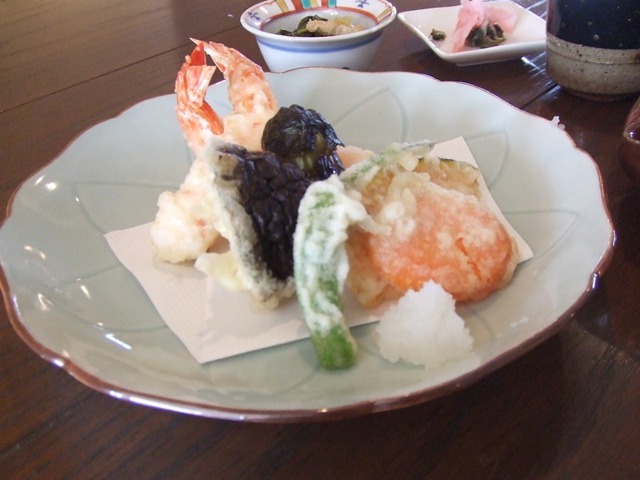 A friend of mine and I had lunch at a restaurant, Kirakira Hikaru. 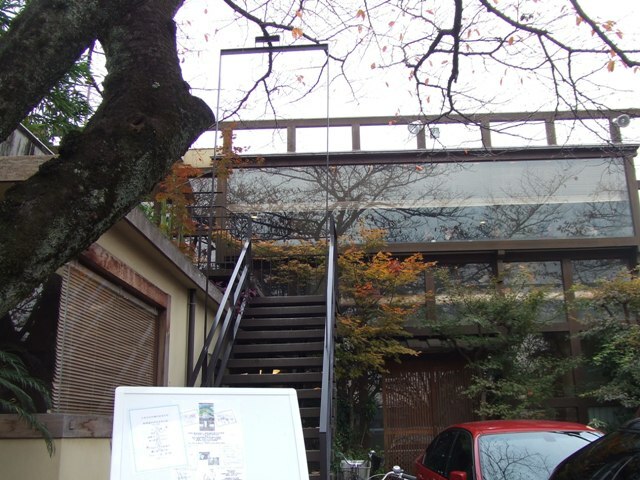 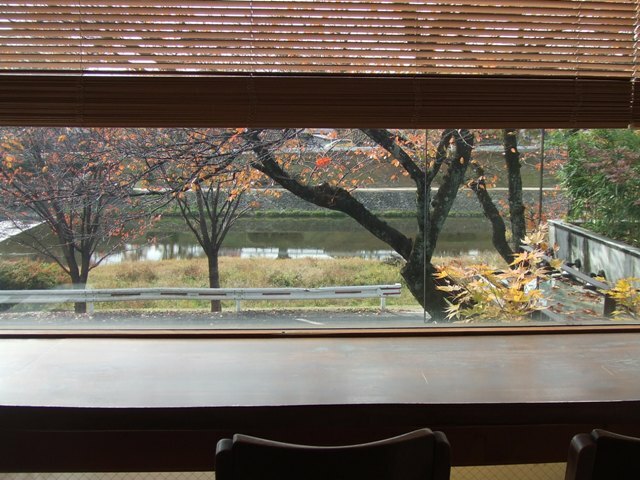 It is located beside Kamo River, and you can enjoy the view from the second floor. 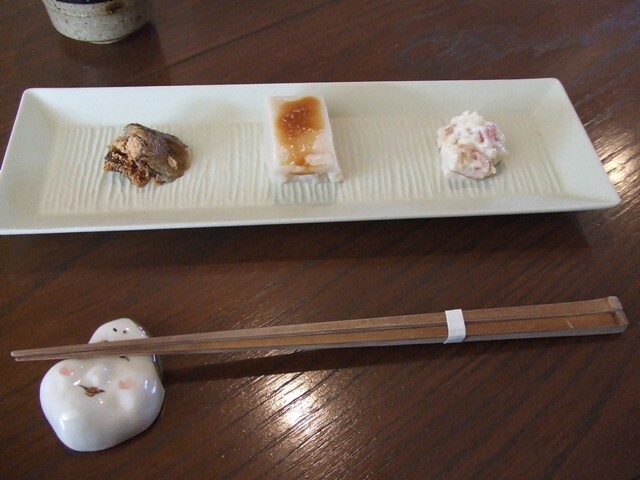 Coffee was served after the meal. 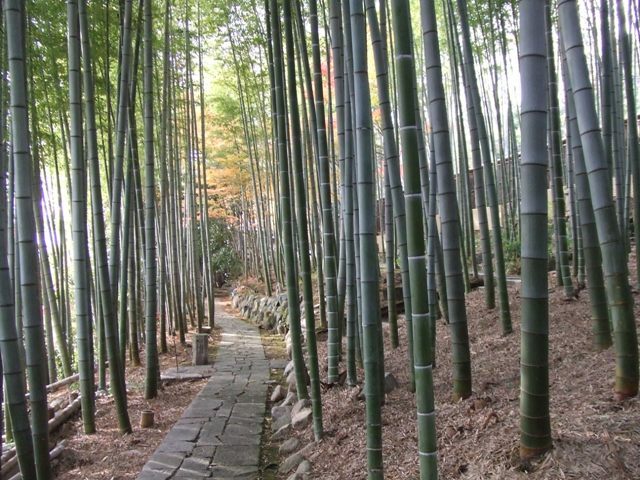 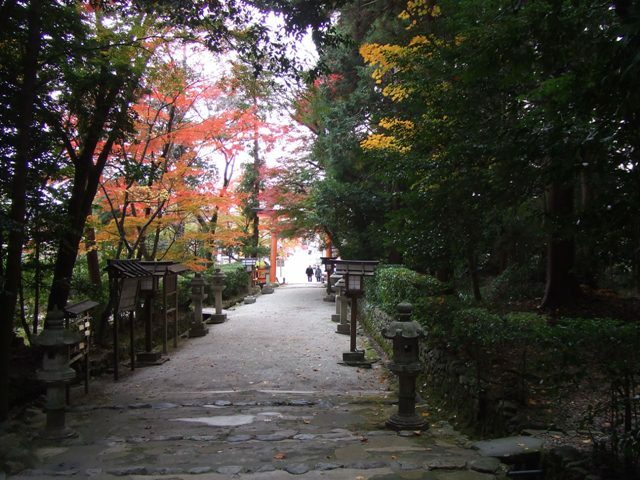 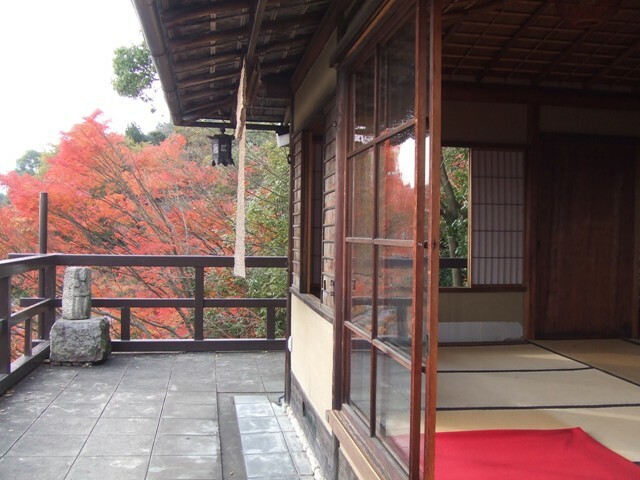 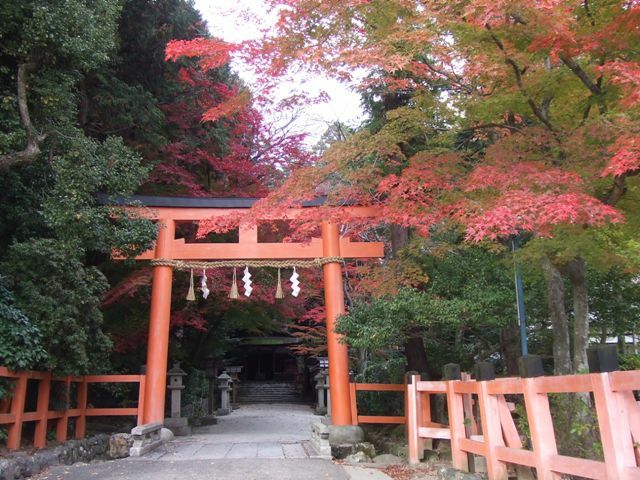 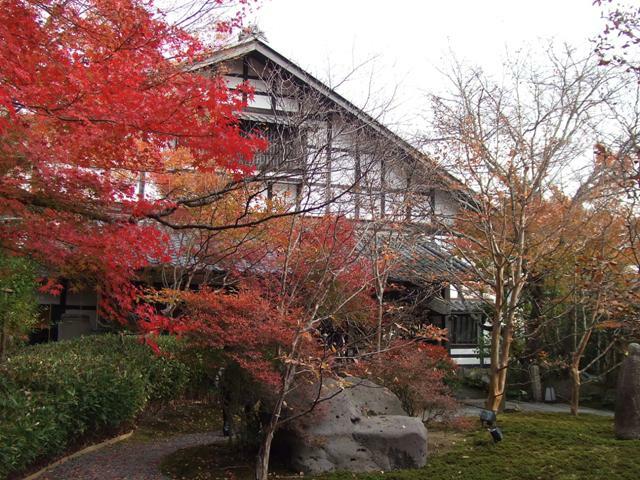 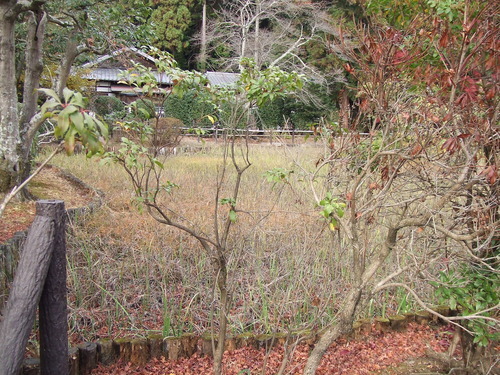 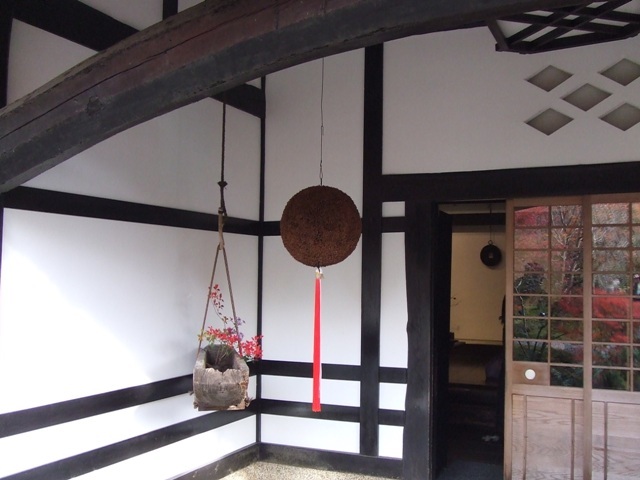 The town of Kamigamo, where Kamigamo Shrine is, is located in the northern part of Kyoto City. 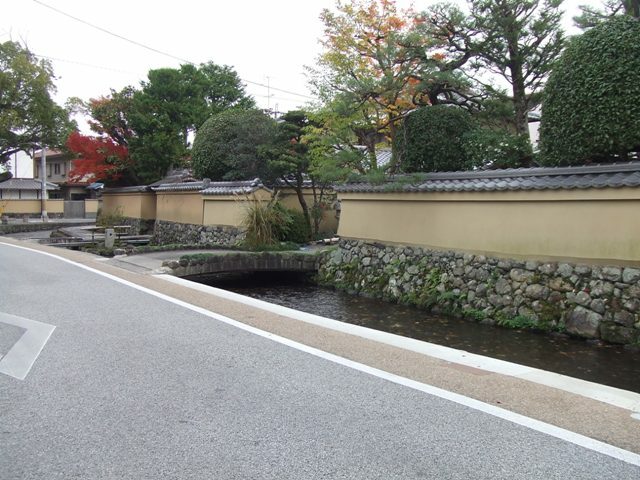 Kamo Clan used to live around here before Kyoto became the capital in 794 A.D. 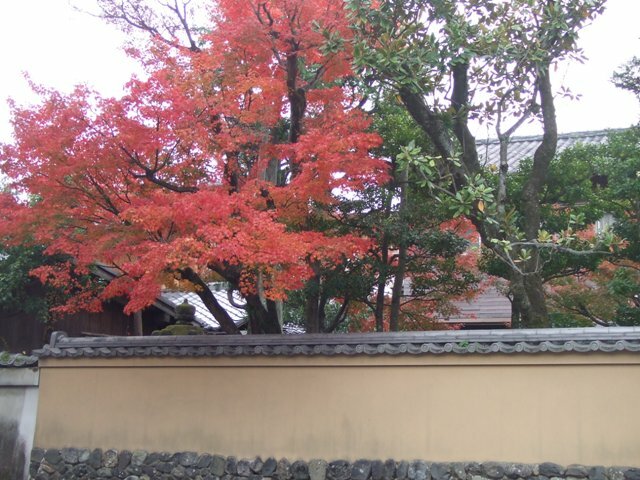 The city of Kyoto did not get damaged by World War II, so a beautiful old atmosphere is still remained. 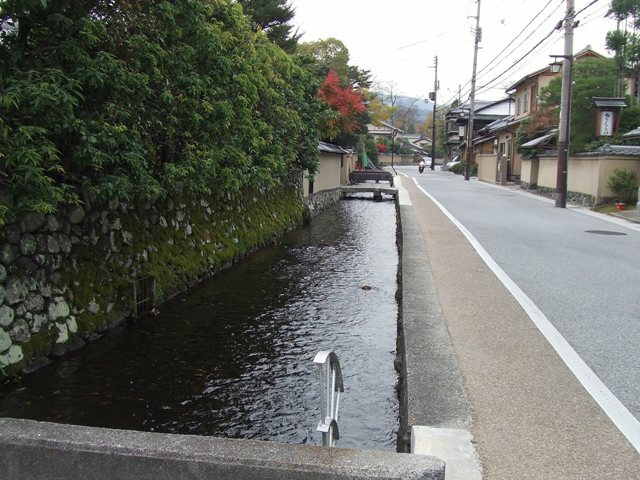 A stream is running through the town. 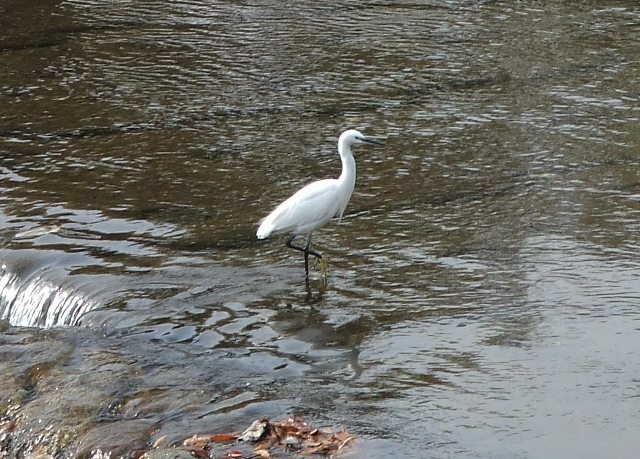 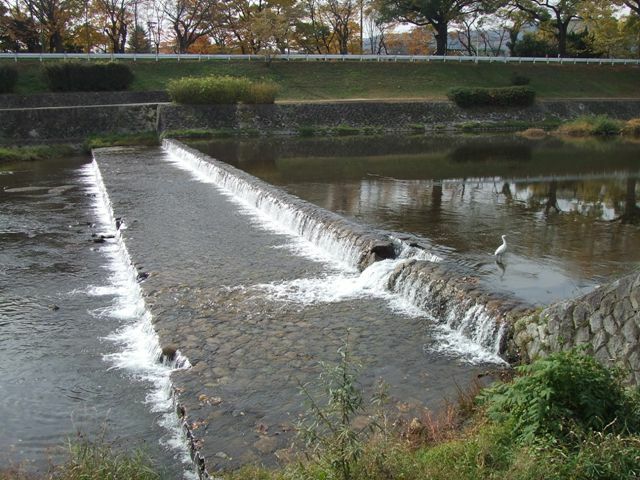 And Kamo River, in Japanese, Kamogawa. 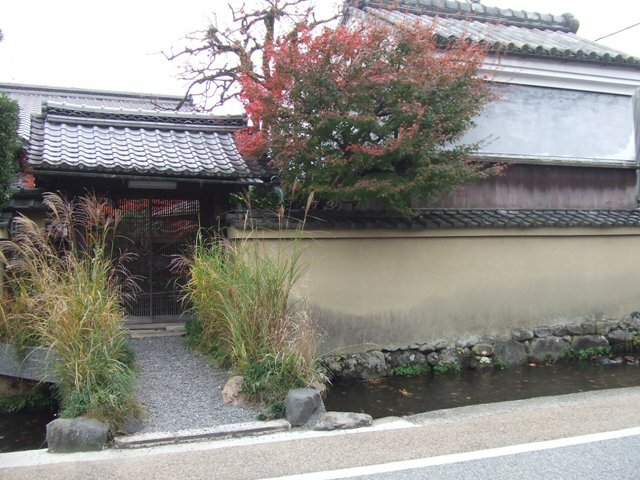 “Kami” means upper, northern, so this area is upper or northern Kamo River area. 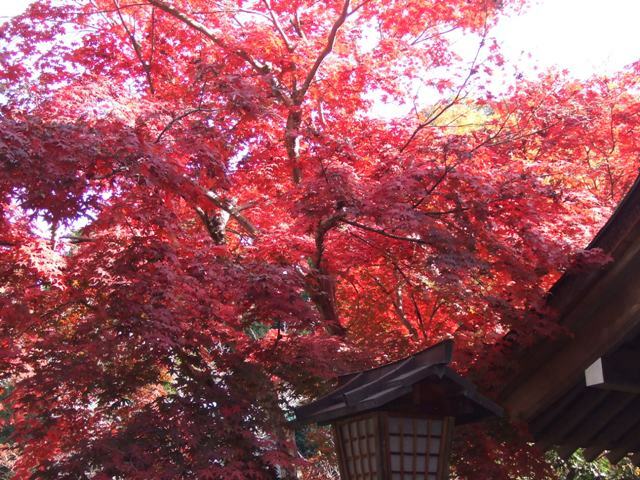 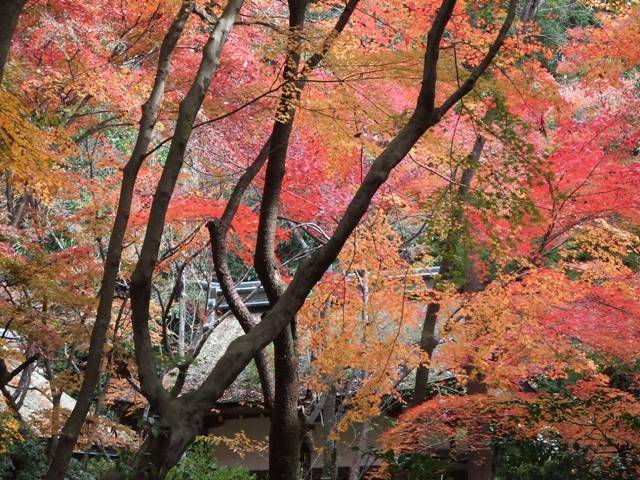 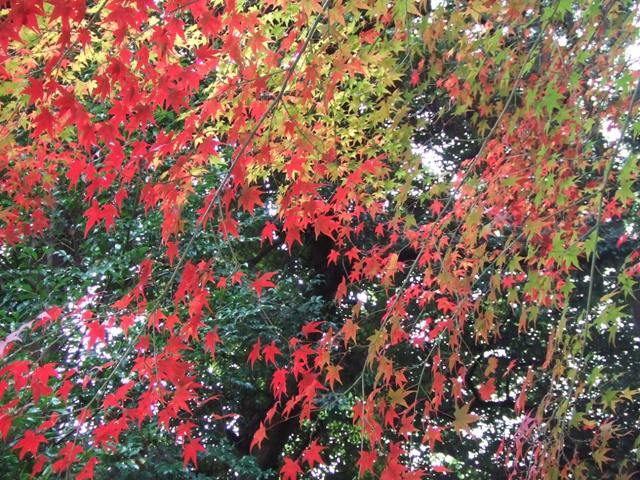 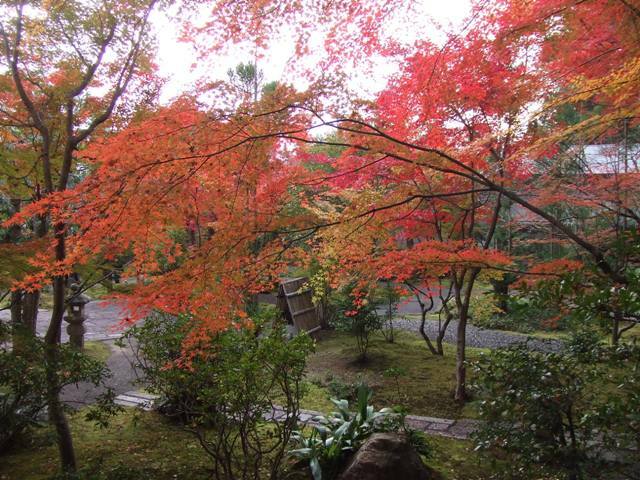 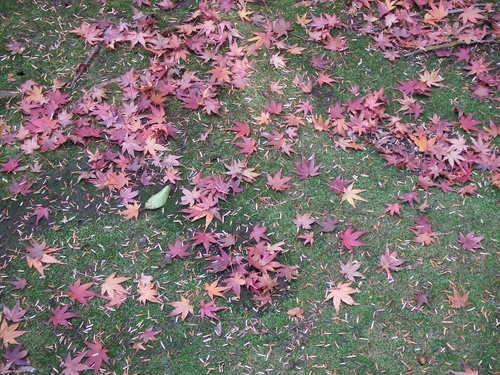 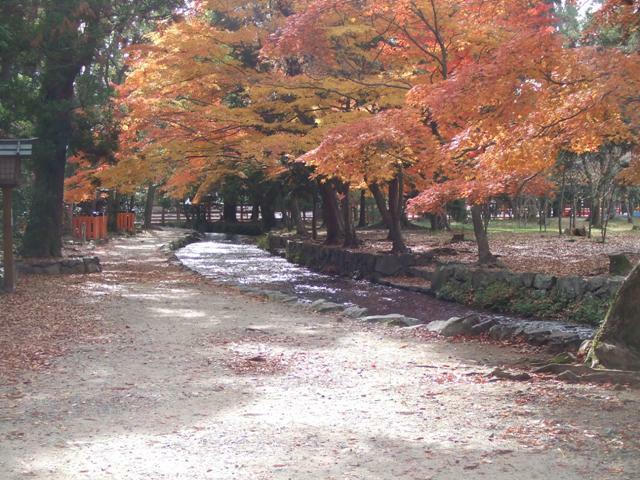 It is nice to walk around Kyoto because the colors of the leaves are beautiful in autumn. 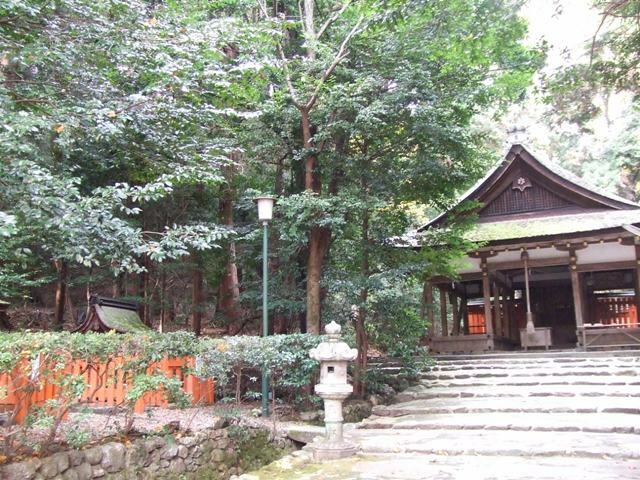 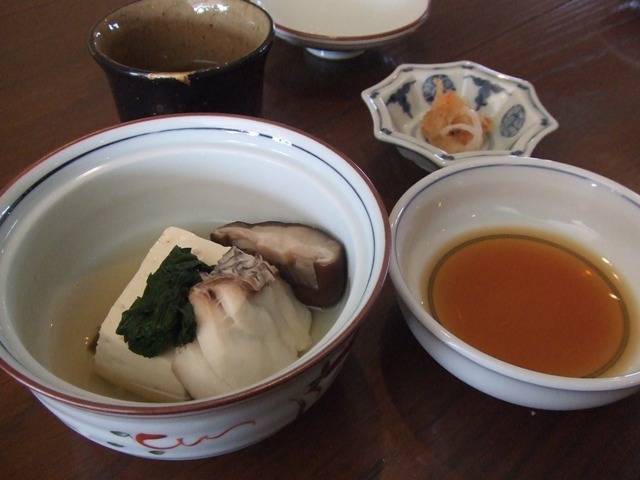 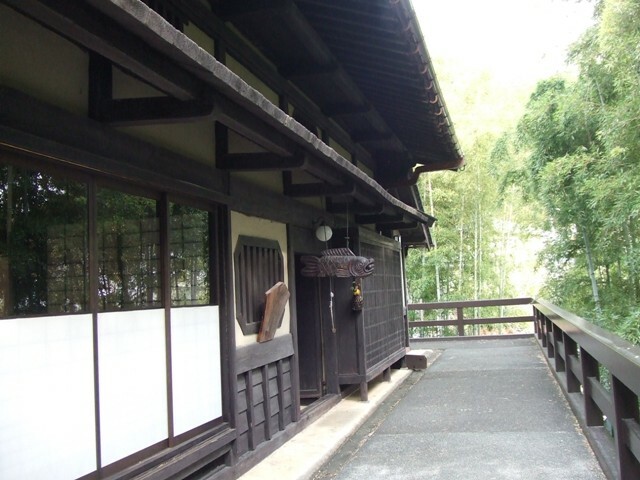 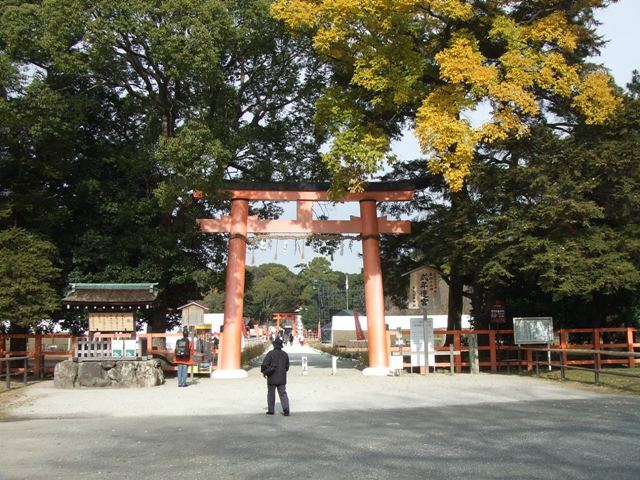 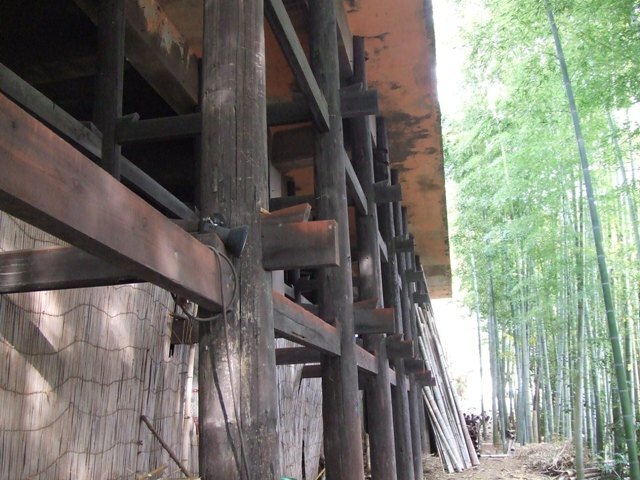 I went to Kamigamo Shrine, which is registered as World Heritage by UNESCO. 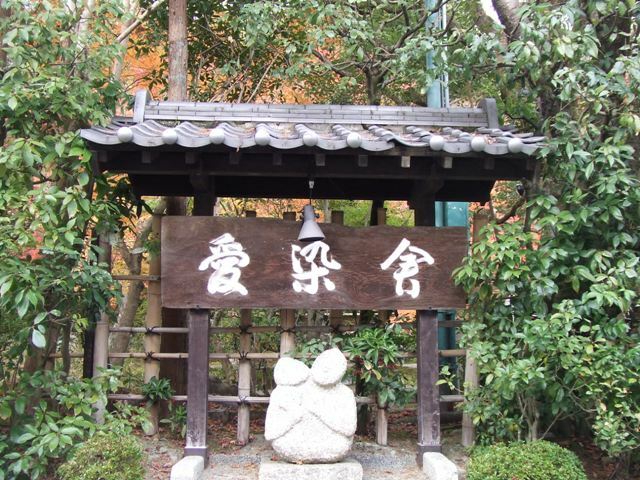 This shrine started in 678 A.D., and is said it is ranked as the second of all shrines, next to Ise Grand Shrine in Mie Prefecture. 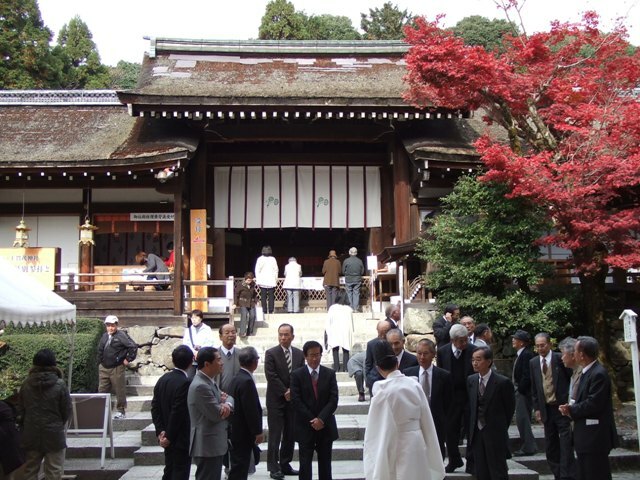 and it is an extremely popular place for wedding. 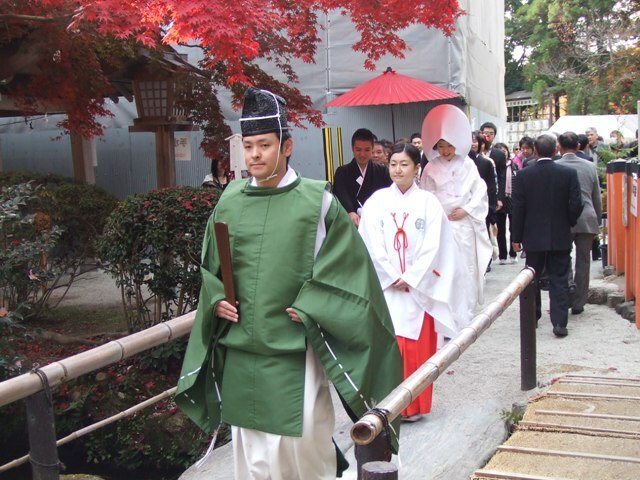 One of the priests said there were nine weddings on this day. 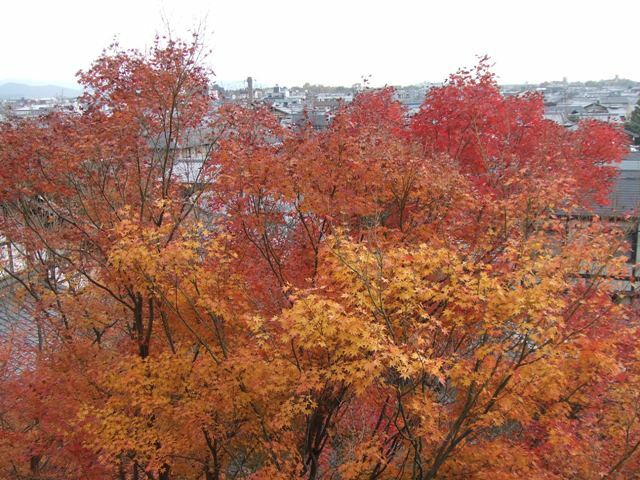 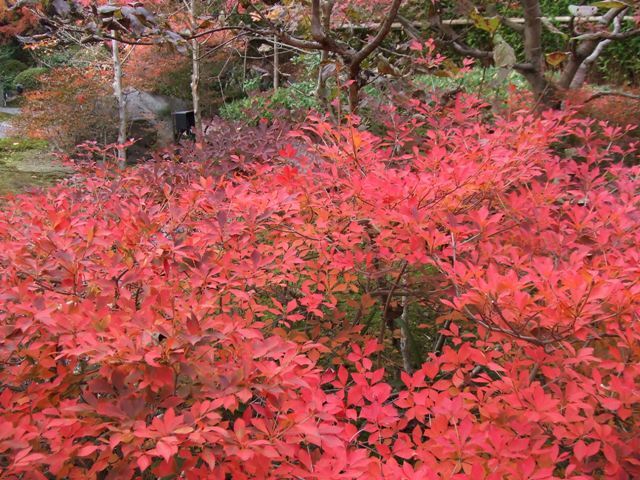 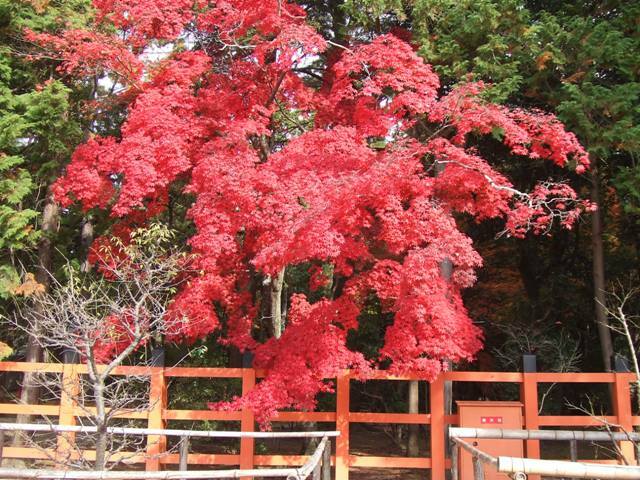 Look at the autumn leaves of Japanese maple trees, momiji.